Home > ティータイム > 遅刻 – He failed to arrive in time. 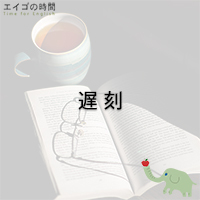 遅刻 – He failed to arrive in time. He failed to show up for his reservation/appointment. He failed to arrive in time. We failed to reach an agreement. My daughter never fails to call me on my birthday.